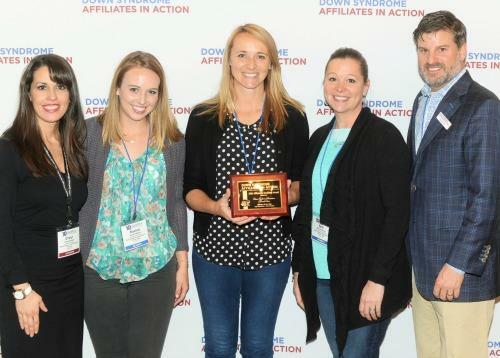 Affiliates from across the nation were recognized for their accomplishments during the annual DSAIA Leadership Conference in Charlotte, NC in early March. 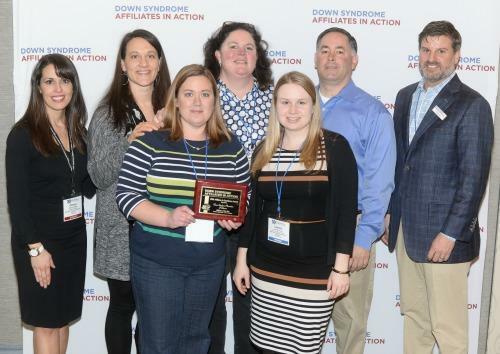 The Affiliates in Excellence Awards spotlight Down syndrome associations across the nation that have excelled in various categories and are sponsored by MetLife Center for Special Needs Planning. One of the highlights of the ceremony is the "Affiliate of the Year" award presentation(s) which went to Down Syndrome Association of Delaware and Down Syndrome Association of Central Texas. "We're delighted to recognize the accomplishments of the local Down syndrome organizations," said Deanna Tharpe, Executive Director of DSAIA. "It's gratifying and inspiring to have received so many remarkable entries for this year's competition. We look forward to acknowledging superior efforts by our membership for years to come." Details about the Affiliates in Excellence Awards, DSAIA, and the list of award recipients that were announced on March 6, 2016 are available here.